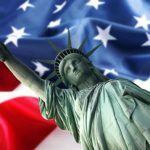 Home » EB-5 Visa Requirements – Understanding the Basics. To obtain permanent residency through the EB-5 Visa program, you need to meet specific requirements. If you are having difficulties understanding the basics and what you need to do in order to be considered eligible, read on. In general, the program is designed for individuals who can meet the capital investment and job creation requirements. Moreover, it also ensures the business receiving the investment is considered eligible under the EB-5 program. The applicant along with their spouse and children (under 21) can obtain permanent residency once these requirements have been met and then approved by the USCIS (United States Citizenship and Immigration). Each applicant is required to make an investment of $1 million, or $500,000 at minimum. The capital amount has to be invested in the US and can take the form of inventory, cash or tangible property which is valuated based on the US dollar fair market value. Once the investment has been made, you and your business entity will have to provide at least ten fulltime jobs for US nationals. Additionally, it is necessary for these jobs to be created within the first two years after the conditional permanent residency has been granted. You have to prove your investment led to the creation of jobs for workers directly associated with the commercial entity which received the initial investment. Commercial Enterprises are lawfully considered to be for-profit entities. They can take the form of many different business structures. The structures can include limited or general partnerships, corporations, sole proprietorships and business trusts. Moreover, it is important for you to keep in mind these enterprises need to have been established after November, 1990. Regional Centers are organizations which have been set up by the USCIS itself. The sole purpose of these organizations is to sponsor capital investment projects for any investment made by EB-5 investors. These organizations are particularly known for creating indirect jobs and are perfect for helping project developers and investors because they are effective enough to simplify the job creation requirements under the EB-5 Visa program rules and regulations. 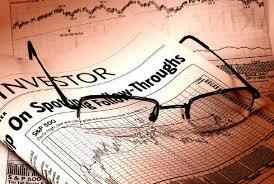 Click here to read about How to Prove a Legal Source of Investment Funds? It is a good idea to know what you are getting yourself into before taking the initiative. 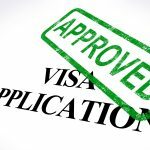 Visa programs may seem complicated at first with a lot of emphasis on unnecessary details. However, these details can ensure your investment and your family enjoy a better future. The EB-5 visa program is simple as long as you have the necessary funds and expertise. Now that you have an idea of the basic requirements, you can take the appropriate steps to ensure you are successful in securing residency in the US. Should you feel confused about any requirement at any stage, it is advised that you obtain the services of a professional. Click here to read more about EB5 Visa Requirements. Click here to read about How to draft a perfect EB5 business plan. Click here to watch video about E-2 Investor Visa.